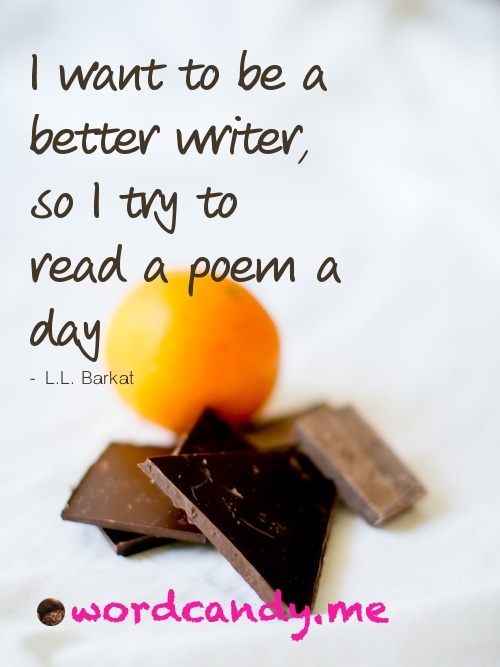 “I want to be a better writer, so I try to read a poem a day,” says L. L. Barkat. I agree. 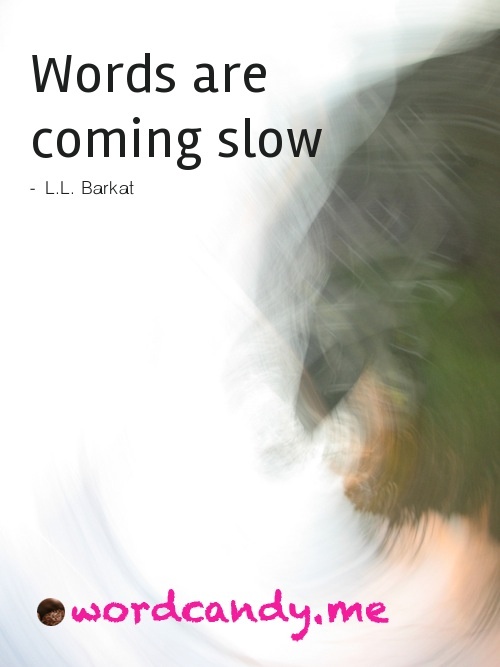 Reading poetry changes how I look at words and how I write them. It’s like the interplay of chocolate and oranges: rich, juicy, tart, and unexpected. Poetry came into my life early: nursery rhymes from the crib forward, poems memorized in elementary school, and the sappy love poems read in my teenage years. Then there was a wonderful elementary teacher who got me started on writing poems. After that, poems came in through the front door, by the window, on the back porch…from just about from every angle of my life. Looking back, I don’t suppose I really thought I’d keep up the habit of reading poetry, or writing it, for that matter, yet I have. I’m glad I’ve done so. It’s a small habit over these almost six decades of life. Little things, done often, add up to a rich, juicy, tart, and unexpected life. What small habit might you adopt today that would enrich your life from here forward? Copyright © 2012 Lane M. Arnold. The word content on this page is the sole property of the author and may not be used or reproduced in any manner without consent. All Rights Reserved.